Unique Group has a wealth of experience designing, engineering & installing monitoring equipment tailored to client’s needs. Unique Group successfully installed and commissioned three underwater cameras inside one of the largest suspended aquariums in the world, for live monitoring of the marine life and the aquarium. 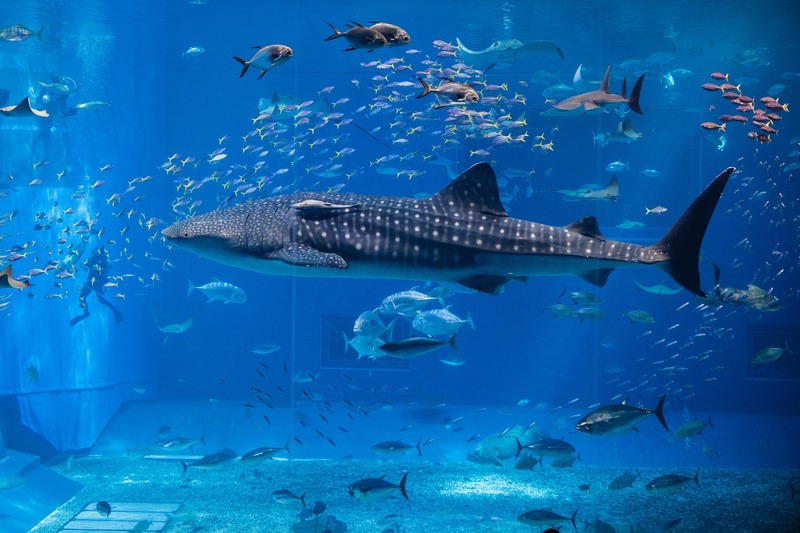 Our Client, informed us of their requirement to install live monitoring cameras in their main aquarium and underwater zoo tank to observe marine life and various other activities in the aquarium. Designing the cable routing without disturbing the aesthetics of the aquarium. Unique Group designed and assembled three (03) underwater cameras along with the live streaming software for the aquarium based on their requirement. Two cameras were mounted in the main aquarium and one in the underwater zoo at vantage points using corrosion resistant fixtures. The cameras stream live feed to the control room on the installed Local Area Network (LAN). At the control room, a computer with the dedicated Network Video Recorder (NVR) software stream feeds from the cameras to the client office. The client control room computer archives the data for further review or marketing purpose. Overall, Unique Group provided the client with a complete underwater monitoring camera assembly combined with a control system for data acquisition and live streaming.